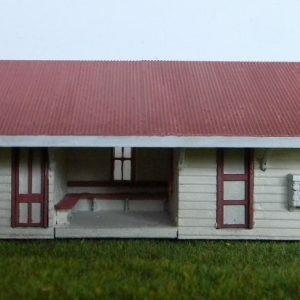 Building dimensions 238mm long x 46mm wide, (76mm including the awning) x 85mm tall including the stumps. 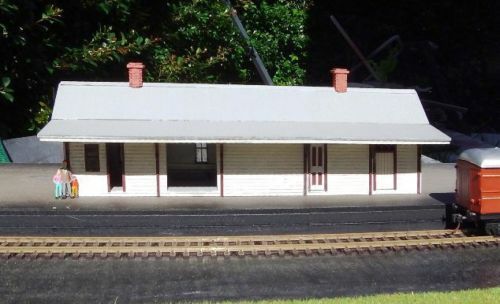 A neat reproduction of this New South Wales Goods Rail A-4 Rural TRAIN STATION, with the open waiting area and lockable ticket office, Station masters office and freight room. 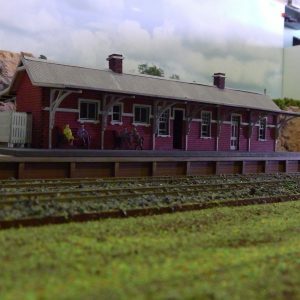 Lots of great detail with weatherboard clad walls, doors, windows and two brick chimneys. 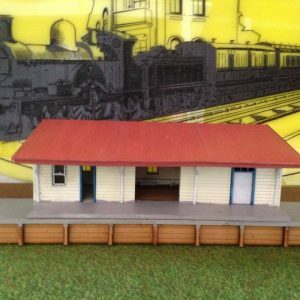 Perfect to recreate a Rural Station or as a stand alone structure. (This kit does NOT include the platform). 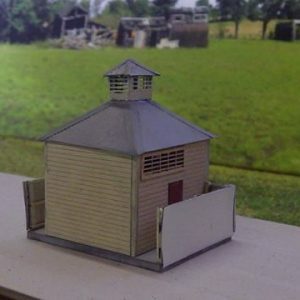 The quality of the laser cut pieces makes this an excellent kit, with little need to trim or sand the components makes it so easy to assemble and adds greatly to the quality of the finished model. This is an UNPAINTED Laser cut wood kit in HO 1/87 Scale. All kits include step by step building instructions and are designed to be easy to put together. Alleene’s Tacky Glue, PVA glue, any kind of wood glue or thick super glue is suitable to use to assemble these kits.